Today's ABC's of Writing entry brought to you by the letter "H." But it's got Walken in it, which means it's automagically awesome. 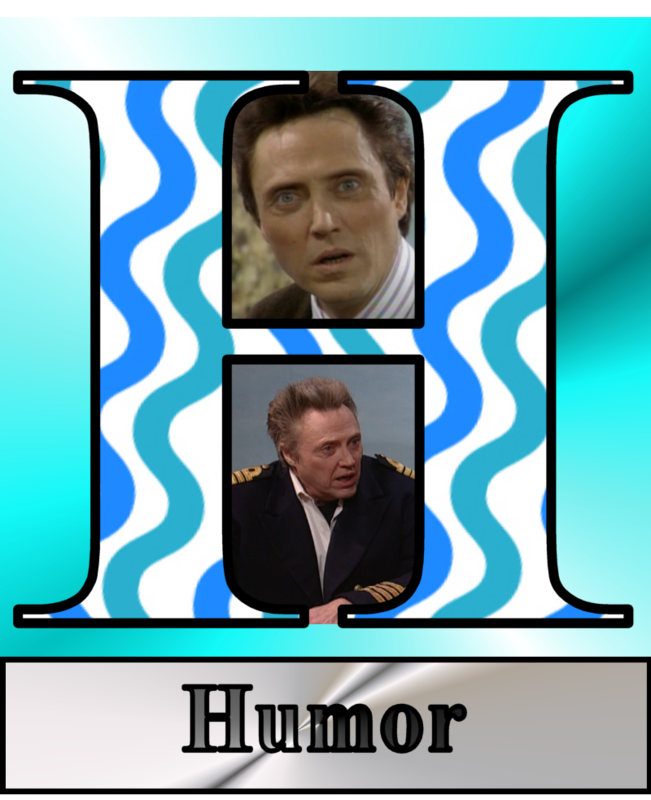 Like Walken as the boat captain. Like Walken as Ed Glosser, Trivial Psychic ("You're gonna get an ice cream headache, it's gonna hurt real bad right here for eight, nine seconds..."). Not every story of mine has a humorous component to it. But for the most part, I like to include humor--subtle or outlandish--in my stories. I like to be able to read with a smile on my face, something I keep in mind when I write a story. Will it always have the desired effect? Heck, no. I've been told by some publications that I don't take myself or my characters seriously enough. And then I ask: do we need another brooding antihero? My point is getting lost here, but I like to laugh when I'm reading and I like to make others laugh when I'm writing. It isn't always easy to pull off.